Bio | The Bob Levin Dot Com. Bob Levin was born in Philadelphia in 1942. Since 1968, he has lived in Berkeley with his wife, Adele, a writer and former psychotherapist. A retired attorney, he represented the injured in workers’ compensation claims for more than 40 years. Levin is the author of THE BEST RIDE TO NEW YORK (novel), FULLY ARMED: The Story of Jimmy Don Polk (biographic fiction), THE PIRATES AND THE MOUSE: Disney’s War Against the Counterculture, OUTLAWS, REBELS, PIRATES & FREETHINKERS: Essays on Cartoons and Cartoonists, and MOST OUTRAGEOUS: The Trials and Tribulations of Dwaine Tinsley and Chester the Molester. His short stories and articles have appeared in a variety of publications including THE MASSACHUSETTS REVIEW, CAROLINA QUARTERLY, SPIN, THE NEW REPUBLIC and CAVALIER. 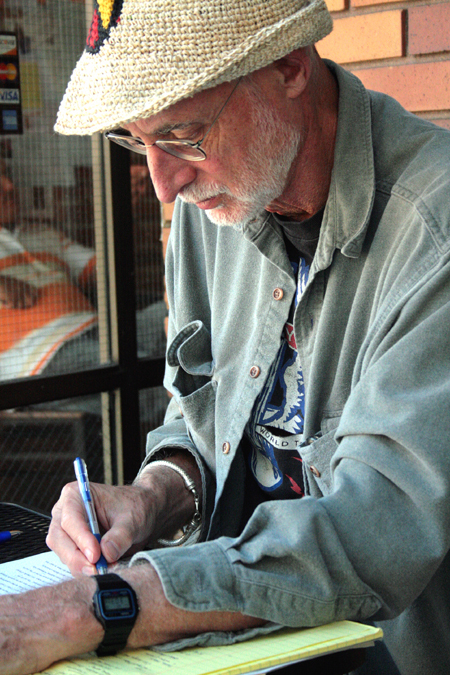 His writing has won awards from the NEA, CCLM and Pushcart Press. 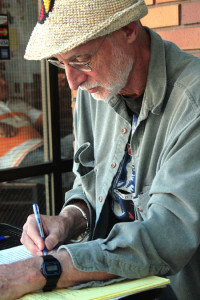 He is a long time contributor to THE COMICS JOURNAL and, online to tcj.com, broadstreetreview.com, and firstofthemonth.org.